A line of people formed around the block in front of Brooklyn College last Thursday evening. Dozens of police officers scrutinized the overflow crowd entering the school’s student center for weapons. Across the street, officers separated demonstrators whose opposing chants intermingled in the freezing cold wind. Members of the press weren’t allowed to come inside, but outside reporters asked people what compelled them to turn up. Many replied that they had never heard of the boycott, divestment and sanctions movement, or BDS, until recently, when attempts to shut the event down generated nationwide media attention. Now, they were curious. Brooklyn College is a sprawling red brick campus with colonial-style buildings surrounded by a neighborhood of fast-food joints and retail storefronts. Though thousands of miles from Israel and the Palestinian territories, last week the school found itself square in the middle of the ongoing struggle over land, resources and human rights. The aims of the BDS movement are threefold: the withdrawal of Israel from Palestinian territories captured by force in 1967, ending racial discrimination against non-Jews within the state of Israel and the right of return — along with reparations — for those evicted from their homeland since the founding of Israel. As a means to these ends, Palestinian civil society groups put out a call in 2005 for their supporters across the globe to boycott Israeli goods, divest from companies profiting from the oppression of Palestinians, and levy sanctions against Israel until it complies with these demands and international law, including the 1973 UN convention against apartheid. The current BDS movement was modeled after a similar effort against apartheid in South Africa, which together with internal resistance helped topple the apartheid regime in 1994. It is in South Africa that BDS has gained the most momentum, garnering the support of former leaders of the struggle against white supremacy in the country, including Archbishop Desmond Tutu. In December, the ruling African National Congress voted to endorse BDS officially. In the United States, however, the movement remains controversial. There have been hundreds of BDS events on college campuses across the country over the years, but what helped cause a particular stir this time was that Brooklyn College’s political science department voted to co-sponsor the forum. Harvard law professor and Brooklyn College political-science alumnus Alan Dershowitz was among the first to oppose the BDS event. In an op-ed that appeared in the New York Daily News, Dershowitz called for the school’s “anti-Israel hatefest” to be canceled or for a pro-Israel speaker to be invited to speak at it. The Qatar-born Palestinian-rights activist Omar Barghouti, who together with philosopher Judith Butler was an invited speaker for the evening, argues that those who label efforts to boycott Israel as anti-Semitic seek to obscure the true diversity of Jewish opinion. Barghouti points out that many Jewish organizations both within Israel and beyond its borders have endorsed BDS. He was among those who helped initiate the BDS effort and has been promoting the cause abroad ever since. But, he says, he had never encountered such “vile and violent racism” before the run-up to Thursday. In the wake of growing international support of the Palestinian cause, which was reflected in last fall’s success of the Palestinian statehood bid at the United Nations, this vitriol might represent a sense of growing desperation from Israel’s unquestioning defenders. Palestinian solidarity activists often face bullying and harassment for their organizing work from groups who equate criticism of Israeli policies and the political ideology of Zionism with anti-Semitism. Tactics to silence critics of the occupation, range from threats of violence to smear campaigns to attempts to sever funding for student groups. In response, the Center for Constitutional Rights, together with the National Lawyers Guild, established a legal defense hotline last month that activists can use if they come under siege. Dershowitz, Hikind and their supporters, it seems, overplayed their hand. Civil liberties advocates fought back and turned the tide against them. Gould held her ground in defense of the event, and several papers, including The New York Times, ran editorials lambasting attempts by lawmakers to coerce Brooklyn College into canceling it. Even Mayor Michael Bloomberg, who is ardently pro-Israel, was forced to intercede, commenting that while he “couldn’t disagree more violently” with BDS, those threatening to cut the college’s funds should “apply to school in North Korea.” By Thursday evening, all but two of the signatories to the letter threatening to cut funds to Brooklyn College had withdrawn their names. The morning before the event, Students for Justice in Palestine, Jewish Voice for Peace and other Palestine solidarity groups rallied outside the headquarters of TIAA-CREF, a large investment firm that handles retirement funds for the faculty of New York City’s public university system. The coalition mobilized in support of a shareholder motion to divest from the Veolia Environment, a French corporation that manages a landfill on Palestinian land and operates segregated rail-lines connecting Israeli settlements to Jerusalem. To date, divestment efforts targeting Veolia have cost the company $16 billion worth of contracts internationally. It is the hope of BDS campaigners that if companies like Veolia won’t listen to moral logic, the sting of lost profits will give them pause and that BDS initiatives will further isolate Israel from the global economy over its human-rights abuses — a goal that those leveling increasingly aggressive attacks against BDS activists hope to thwart. Inside Brooklyn College’s student center on Thursday, the atmosphere was markedly subdued compared to the ruckus taking place outside. Judith Butler cleared her throat and took the lectern. 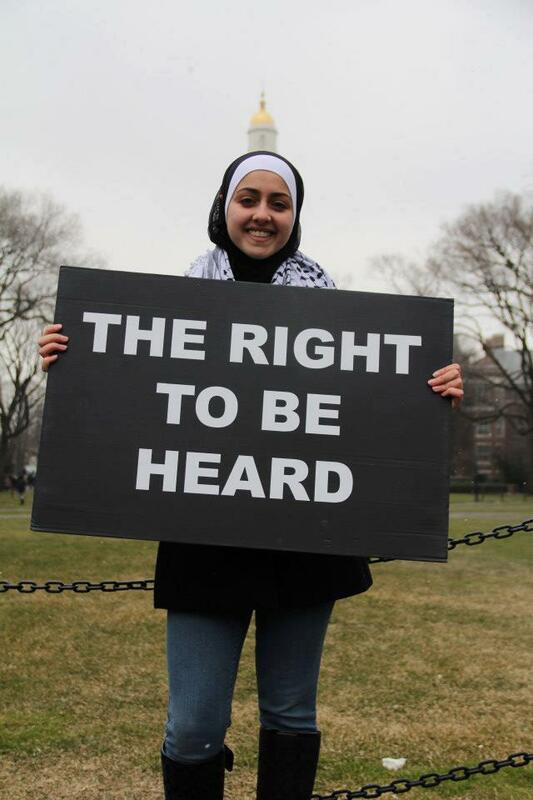 Attempts to silence BDS at Brooklyn College, she said, stem from a fear that its message “will not only be heard, but become hearable, admitted into the audible world.” Looking out at the packed room, she observed that attempts to silence BDS had in fact had the opposite effect and suggested that activists send Dershowitz chocolates to thank him. During the question-and-answer period, one student stood up to offer a long, halting query for Butler and Barghouti about what their true motives were. He appeared to expect an anti-Semitic response.